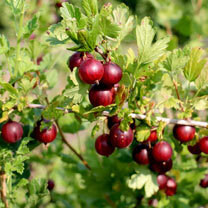 Producing a good crop of sweet-tasting Gooseberries from your own Gooseberry plant could not be simpler. All plants come with easy instructions to ensure you get the best harvest possible. 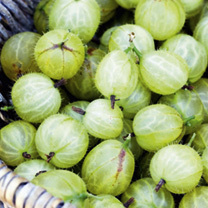 There are plenty of gooseberry plants which you will want to grow such as the juicy Espera, thornless Lady Sun or even the vigorous and mildew-resistant Pax! 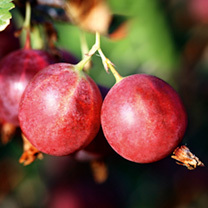 Browse our range of gooseberry plants and try something different today. 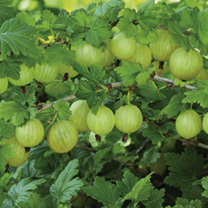 You can trust that your gooseberry plant will be despatched at just the right time for you to successfully plant and grow it in your garden. Quality guaranteed! This lovely fruit is often overlooked and thought of as a bit 'old fashioned' these days (a bit like rhubarb), but it is such a tasty, versatile and easy to grow plant it is well worth having at least one bush in your garden. 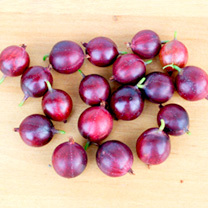 There are several varieties of gooseberry plants available which include fruit suitable for cooking, jams etc, and the larger and sweeter dessert types, and thornless cultivars. It's worth being a bit choosy where you plant your bush, as with very little care it will be staying put and producing fruit for up to 20 years. 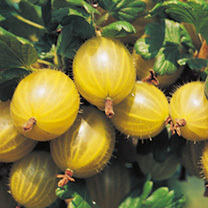 A gooseberry plant appreciates a sunny location but will tolerate a little shade, and should be planted in the autumn (October is the optimum time), but can be planted as late as February. Soil should be well drained, and well dug over with organic matter incorporated before planting. The major pruning should be done in the winter, thinning out the centre mainly as this allows easier picking, and keeps air circulating which discourages mildew. A light summer pruning is not essential but keeping the centre of the bush clear ensures that the sun gets into the fruit and ripens the crop. In late May/early June start thinning out the developing berries, taking around half the crop. 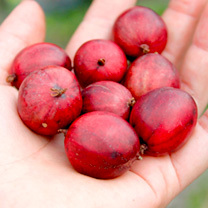 This fruit can be used for cooking, and ensures that you get a longer cropping season. The remaining fruit will have room to grow larger and can be gathered a few weeks later. In June/July it is wise to net the fruit, or erect a fruit cage to keep the birds off.